Well, it’s official. The first narcissus and lupine have begun blooming in the front yard. 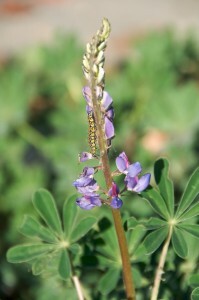 The caterpillars have discovered the lupine, too.